A haggard old woman carelessly mixing a recipe for corns on the fire in her sordid bedroom. Etching by G. Cruikshank, 1819, after Captain F. Marryat. [London] (26 Haymarket) : Thos. McLean, 1 August 1835. 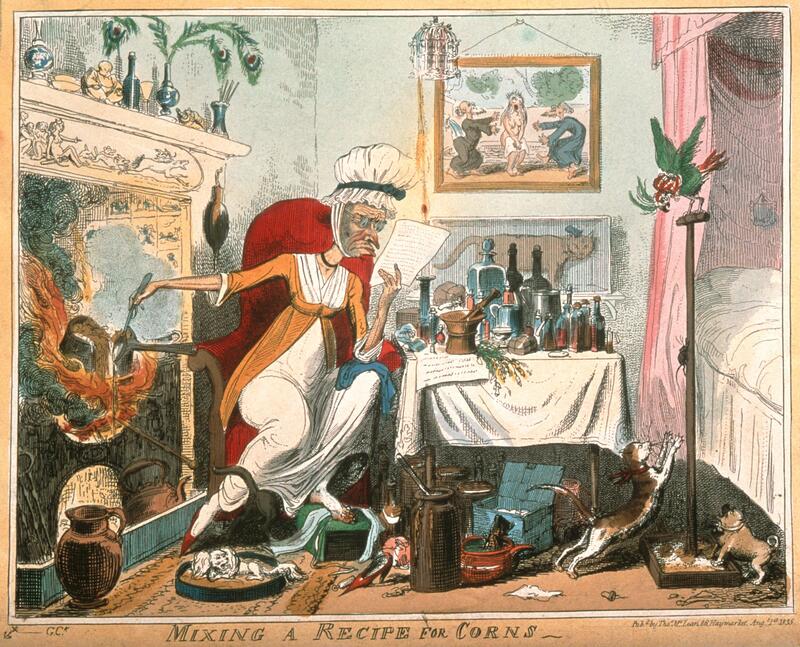 Mixing a recipe for corns. G.Ck. House furnishings |Great Britain –19th century. Costume |Great Britain –19th century.